Don’t be fooled by the “E” in our name. Although we got our start training engineers — and are still home to one of the top engineering programs in the nation — there’s a lot more to MSOE than you might expect. We offer nearly 20 undergraduate programs in engineering, business, nursing and math, plus minors ranging from Spanish to marketing to user experience. If you’re ready for the next step in your academic journey, check out our 11 graduate programs. 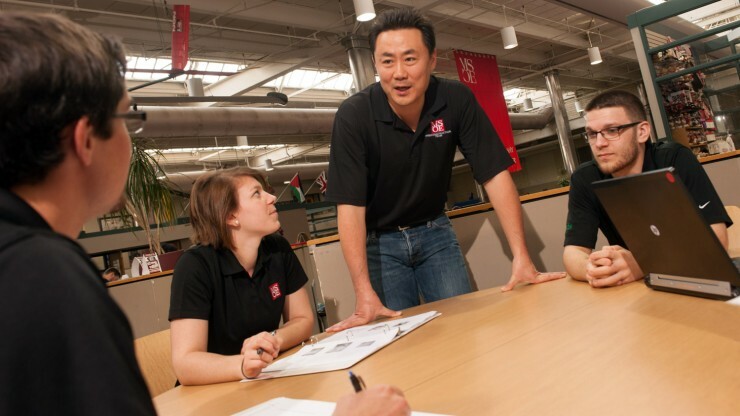 Whether you dream of designing and building life-saving medical equipment or starting your own company, an MSOE degree will give you the practical tools you need to launch a rewarding career. MSOE offers it all: state-of-the-art laboratories, one-on-one interaction with expert faculty, direct admission to your major, more than a dozen engineering and computer-related majors to choose from and high starting salaries. Graduates of the Rader School of Business stand out thanks to our emphasis on entrepreneurship, leadership and technology, plus real-world experience gained through internships and innovative laboratories. Prepare for the high-demand field of actuarial science with a program that has been ranked among the very best in the nation. Highly skilled, compassionate and tech-savvy — that’s what makes MSOE nurses so sought-after. This department will enrich your education with a variety of courses in the humanities, social sciences, English, communication and engineering graphics. Choose a minor to enhance your degree and complement your career goals. Want two degrees for the price of one? Spend your junior year in Germany and receive a degree from the Lübeck University of Applied Sciences, or choose shorter study abroad options in Italy, France, India and other countries. The knowledge you’ll gain in our advanced, industry-standard laboratories is the cornerstone of an MSOE education, and you can contribute to cutting-edge developments for industry partners like Harley-Davidson, Kohler, Snap-on and more.